Consultants for this book were parents, including Sister Kathleen’s sister Marcia Stobierski. 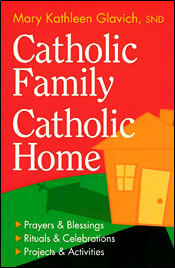 In this resource parents will find simple, practical ways to nurture the faith in their home. These include setting a Christian atmosphere, praying, living the faith, celebrating birthdays and baptisms, family projects, and ways to celebrate feast days like Christmas and Easter. Children will learn that faith can be meaningful and fun. Chapters conclude with reflection questions that help families assess their own situation. 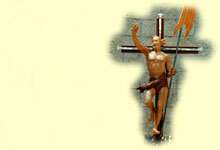 The book ends with an appendix of traditional prayers. This book is part of a series on the sacraments intended to help those involved understand them better. Books on baptism, one for parents and one for godparents are the first two in the series. 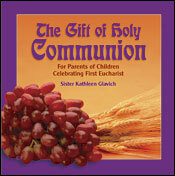 This book helps parents make their child’s First Holy Communion a beautiful and meaningful experience. It explains to parents the meaning of the Eucharist in terms they can understand and suggests ways to celebrate this memorable event. Besides answering frequently asked questions, it offers words parents can use to answer their child’s questions. The book also lists scripture passage and provides prayers that families can use to prepare for First Communion. Parents who aren’t Catholic will find the explanations in the book especially helpful. A parent who isn’t Catholic will find the explanations in the book especially helpful. 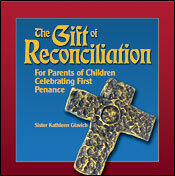 In this book parents will find ways and words to prepare their child for the sacrament of Reconciliation. After explaining sin, contrition and forgiveness, the book presents the meaning and history of the sacrament—all in simple language. The procedures and options for the sacrament are given as well as suggestions for ways to make it a joyful experience for the children. The book answers frequently asked questions of parents and children. It ends with scripture readings related to the sacrament, various acts of contrition, and a family celebration of reconciliation. The book A Confirmed Catholic’s Companion is a related book. 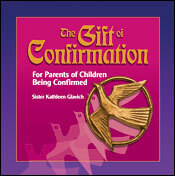 This book gives parents tools to help their child through the process of confirmation. It explains the sacrament in terms the average layperson can understand. It is particularly valuable for parents because of its practical advice and suggestions for guiding their child and celebrating the sacrament. For example, it explains how to choose a sponsor. The book answers frequently asked questions about confirmation, provides a list of related Scripture readings and presents prayers for confirmation, including a novena that the family can pray. Parents who aren’t Catholic will find the explanations in the book especially helpful. The book A Confirmed Catholic’s Companion is a related book that makes a good Confirmation present. 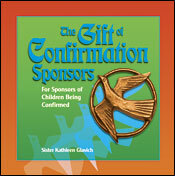 Sponsors for confirmation will be glad to have this handbook. It informs them of their requirements, roles, and obligations. In addition to explaining the meaning and importance of the sacrament, the book gives an overview of its symbols and rite. It also answers frequently asked questions of sponsors and offers Scripture passages and prayers related to the sacrament of Confirmation. 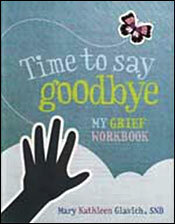 This book offers creative suggestions and hands-on activities to help children work through the grieving process. It explains death and a funeral and presents the Catholic/Christian attitude toward dying with an emphasis on hope.